I've always been up for a dating site. Or eight. When I moved to Seattle in 2014, I was single and didn't know anyone. Online dating became my hobby. I wanted to meet people and explore the city ... and maybe fall in love. Match, eHarmony, Plenty of Fish, OK Cupid, Hinge, Tinder, Zoosk, Coffee Meets Bagel, and Christian Mingle. You name it, I was on it. I went on 3-4 dates per week. I was sure I'd find love on one of these sites. That strategy lasted about 2 months. I met plenty of nice guys. They looked great on paper. But the chemistry was lacking. I put so much time and energy into spinning these "plates," but nothing seemed appetizing. Then, on January 15th 2015 I received an email that changed everything. 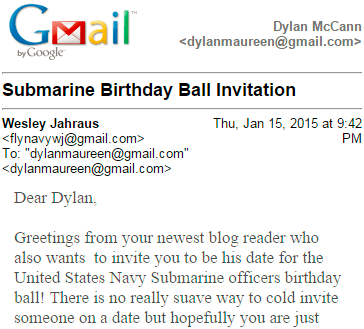 The subject line read, "Submarine Birthday Ball Invitation." The sender was a total stranger who stumbled upon my blog post, "Why Real Men Carry Cash" from a link on Facebook. His name was Wesley Jahraus. 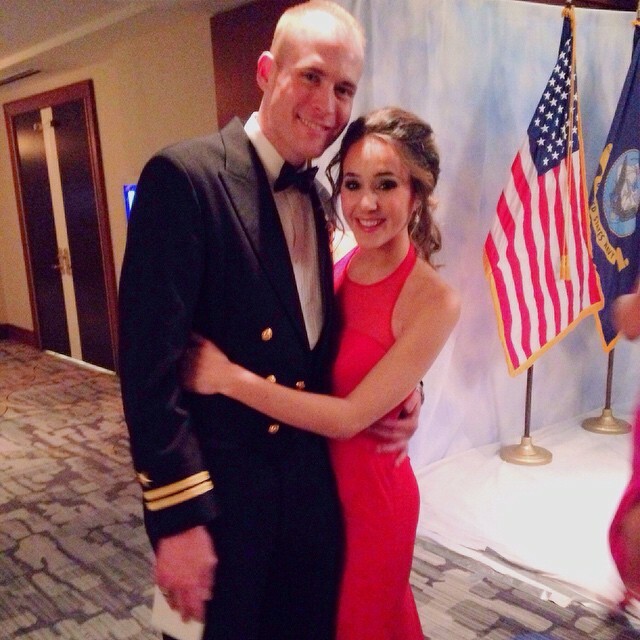 In the email Wesley introduced himself as a Navy Submarine Officer on the USS Jimmy Carter, stationed close to Seattle. He invited me to be his date to the Submarine Birthday Ball... and to meet for coffee soon. I thought, wow, this guy made a pretty bold move. It can't hurt to meet him. We met for coffee on a Sunday afternoon. Let's just say he blew away all expectations. First, I thought he would be short. He was 6'6". Alleluia. Second, he was extremely well spoken, smart, and intriguing. There was a sense of mystery as he spoke about his work in the Navy. I had so much respect for him. Since then he has courted me like a real gentleman. His level of attentiveness and conscientiousness is something I haven't seen before. Between all of the amazing adventures, we've also had the ups and downs of real life. But he's the most even-keeled guy out there. It makes for a good balance. It's crazy to think how much has changed in the last 6 months. It's shown me that no matter how much we try to plan our lives, God will show us that His plans are always better than our own.